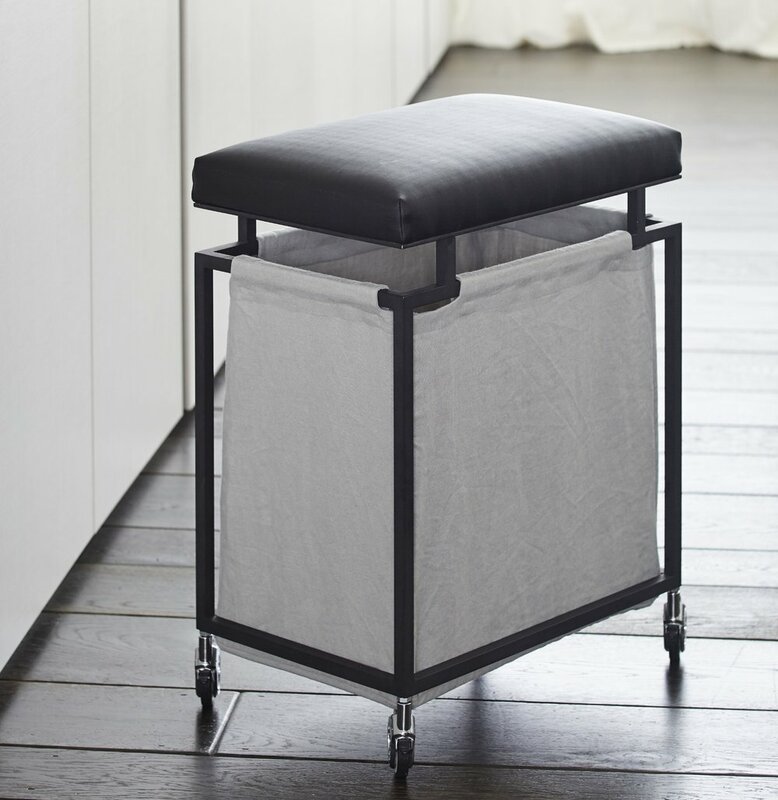 Crafted from steel and set on wheels, its sturdy frame holds a linen laundry bag, while its padded lid becomes a comfortable and space-saving perch. Ideal for either the bedroom or bathroom, it’s easy to move around or store away. Dimensions shown: W 550 mm x D 330 mm x H 850 mm. Fabric is chosen by client at time of order: 1.5 m.
The dimensions can be adjusted according to requirements, the lid can be padded in a fabric of choice and the frame can be powder coated in any colour.